Utilization of hotplates to cure the films have several advantages over conventional type ovens: (1) decrease bake time; (2) increase reproducibility and (3) better film quality The KW-4AH compact hotplate has uniform temperature profile across the substrate to provide. even heating the films and coatings. No skin effect occurs on the hotplate since the hotplate baking heats the substrate from the bottom up. This inside-out mechanism is especially for baking thick films since solvents in the films nearest the substrate are baked off before the film surface seals over. 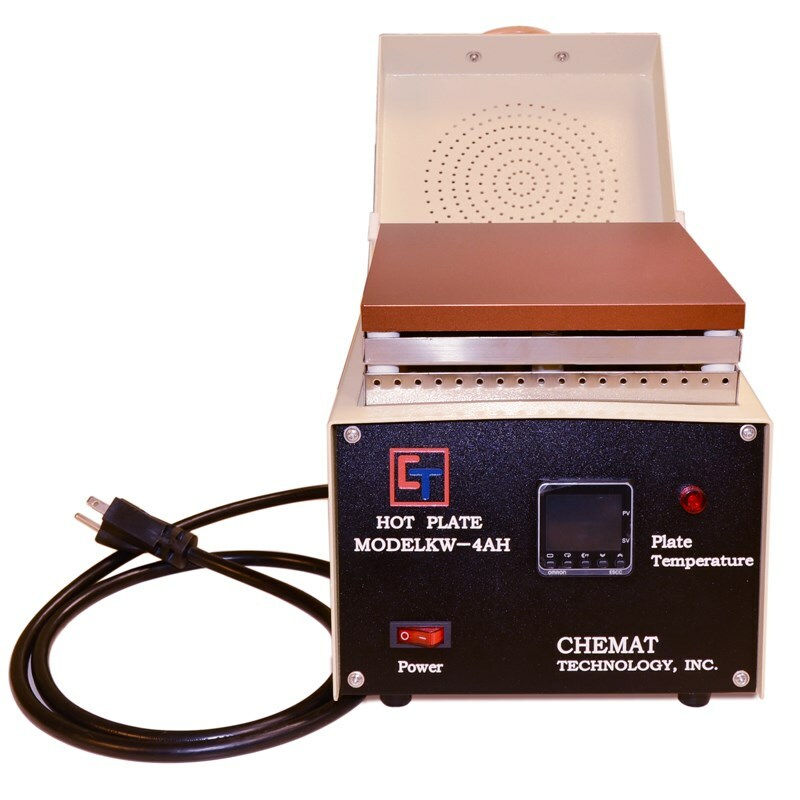 The KW-4AH hotplate increases throughput from a faster warmup of the substrate. Bake times will be measured in seconds, rather then minutes or hours, as in conventional ovens.